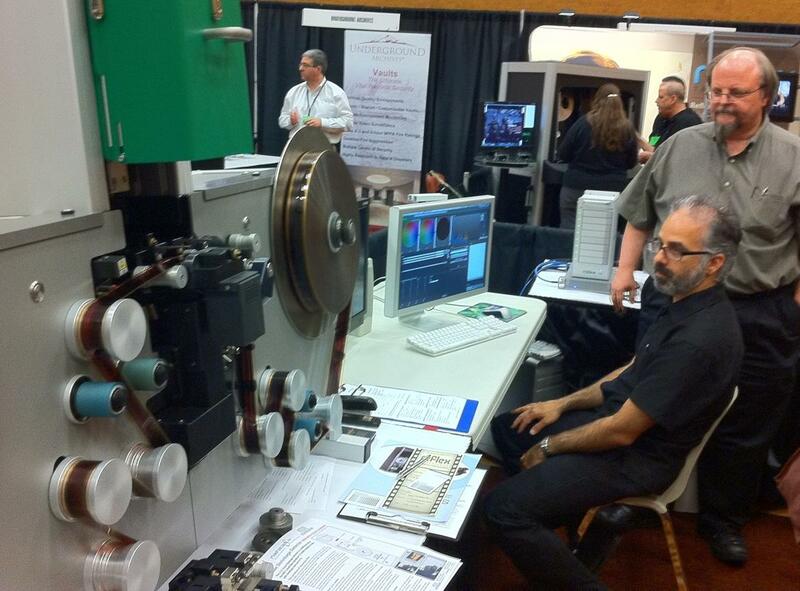 A few weeks ago, I attended the annual conference of the Association of Moving Image Archivists in Austin, Texas. Here are a few of the highlights. 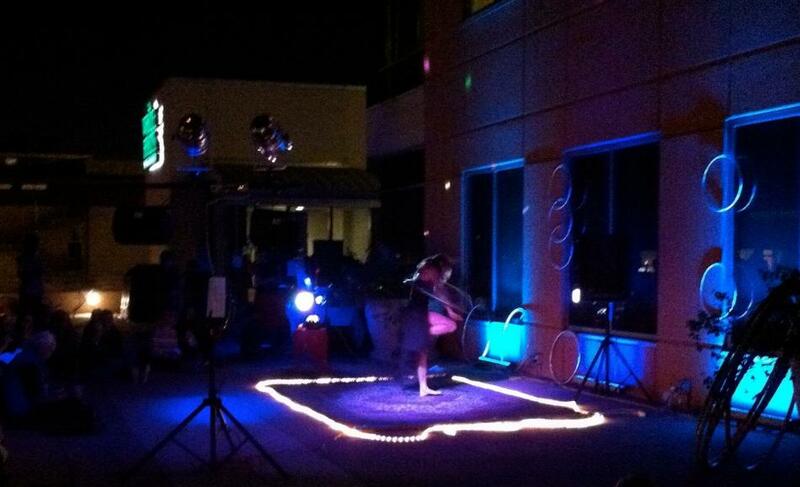 Austin calls itself the Live Music Capital of the World and there are performance stages everywhere. This is the live stage at the Whole Foods flagship store. The Association of Moving Image Archivists (AMIA) is a professional association for those involved in all aspects of the preservation and access of moving image heritage, including those from film and digital labs, production studios and archives both large and small. It’s a friendly, active group with members from all over the world. A new method to create more accurate restored colour. Dye fading is corrected by separating each dye layer digitally and adjusting each individually. From Video and Film Solutions, a sister company to Colorlab. David Pierce spoke about the Media History Digital Library, a free reference site of film industry trade journals digitized and hosted by the Internet Archive. There are currently over 200,000 pages, and the project is growing. A look at the DASH Digital Asset Management System from Deluxe Archives Solutions, as used at Dreamworks Studios. Each year’s conference features Archival Screening Night, in which clips from members’ newly acquired and preserved films are screened. We presented a few minutes from Water Colours, an early experimental film by Mike Collier which was acquired with the Yaletown Productions Inc. fonds. 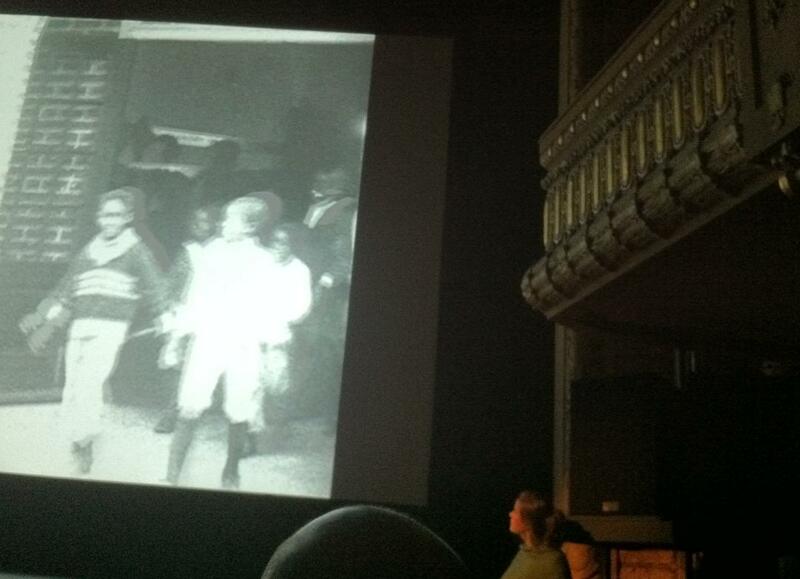 Archival Screening Night in progress at the Paramount Theater, a restored landmark from 1915. Another session discussed the Media Preservation Initiative at Indiana University, which is launching a “massive, rapid and considered” effort to preserve their audiovisual holdings, numbering in the millions. For most of the magnetic tape formats they hold, they have a 15- to 20-year window (at most) in which to preserve them before they become irretrievably deteriorated or the playback equipment becomes obsolete. Key parts of their strategy are the prioritization of work and the creation of automation and parallel workflows where possible. More information is available in their report. 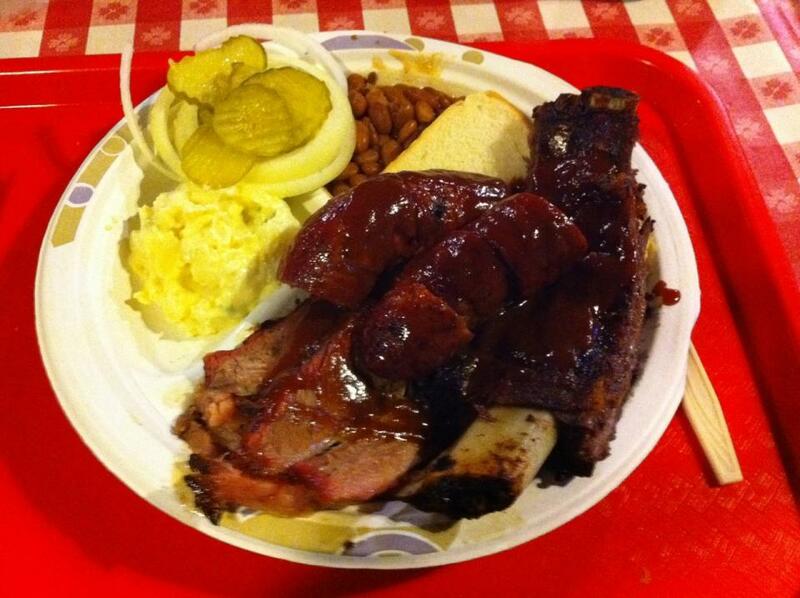 Live music is everywhere in Austin, and so is great barbeque. At the session on crowdsourced tagging, Johan Oomen, Head of Research for Netherlands Institute for Sound and Vision, told us that people usually find just a portion of a video of interest to their research and would like to be able to find that segment quickly, yet it is very time-consuming for archivists to produce a shot list of everything in a video. They addressed that problem by developing an award-winning online tagging game called waisda and applied it to television programs. They collaborated with the Dutch public broadcaster KRO. Links from the broadcaster’s site drove more people to play the game and generate more tags—over 2,000 people created 376,000 tags. Players watch a video and type tags about what they see as they watch. The game associates the tags with the time code of the video. Players accumulate points if their tags match tags from other players, or if they mention something specific like the name of a town or a person. Then the Institute used other tools such as Freebase to clean up the tags. The open source game software will be released in 2012 in English, and it will be used on the Prelinger Archives. The conference has a large trade fair room where vendors can demonstrate and discuss their products. Ted Langdell demonstrates a flashscan film scanner in the Vendor Café. The new AV Artifact Atlas was demonstrated at one session. It’s an illustrated description of problems and artifacts occurring in AV media, created to support the development of a common vocabulary and a better understanding of these problems. More contributors are sought. As a member of the Open Source Committee, I attended the Committee meeting at which several open source tools were demonstrated. The Interactive Storage Simulation Tool developed by Prestoprime, which allows digital repository owners to run simulations of their repository under different conditions: what if we ran checksums less often, or what if we made another replication—how would that affect our resources. It’s like a Digital Archives Tycoon game! Hypatia, a tool for accessioning, arrangement, description, discovery, delivery, and long term preservation of born digital archival collections. ffmpeg, a tool for conversion of digital audio and video formats, and more. This is just a sample from my 56 pages of notes. The AMIA conference is always useful and inspiring. Next year’s conference will be in Seattle. This entry was posted in Digital Archives, Digitization, General, Preservation and tagged AMIA, digitization, Yaletown Productions. Bookmark the permalink.